New Delhi, February 19: Several aircraft of the Indian Air Force (IAF) have either made emergency landings or crashed lately. According to reports, in the last four years, the country has witnessed as many as 30 IAF crashes, killing 41 people. According to a report by TOI, the IAF witnessed eight crashes in the year 2018-19. In 2017-18, there were six IAF crashes, in 2016-17, the country witnessed 10 crashes while in 2015-16, a total of six crashes were reported. In 2019, so far, there have been several incidents of crash involving IAF aircraft, which have raised concerns over the quality of fighter jets. IAF Aircraft Crash Lands in Baghpat in Uttar Pradesh, Pilot Safe. On Tuesday, 19th February 2019, IAF Surya Kiran Jets collided with each other mid-air and crashed at the Yelahanka air base in Bengaluru, killing one pilot. Two other pilots, who suffered injuries were undergoing treatment at Command Hospital. A mid-air crash of two aircraft belonging to the Surya Kiran Aerobatic Team occurred while they were rehearsing for Aero India 2019, slated to begin on February 20. IAF Jaguar Fighter Crashes in Gujarat's Kutch, Pilot Dead. On 1 February 2019, IAF's Mirage 2000 aircraft crashed at the HAL Airport in Bengaluru. A pilot was killed on the spot while the other pilot was left injured. The aircraft went up in flames as it crashed with an explosion and thick smoke billowed from the spot. "The body of one of the pilots is completely charred while the second pilot is in a serious condition," a police officer at the HAL Airport police station said. On 28th January 2019, a Jaguar aircraft of the IAF crashed in Uttar Pradesh's Kushinagar district. The pilot of the aircraft ejected safely, IAF stated, adding that the military aircraft crashed soon after taking off on a routine mission from Gorakhpur. Reports inform that the Jaguar had taken off from the Gorakhpur Air Force Station. The crash site is between Hata and Kasya villages. On 28th November 2018, a trainer aircraft of the IAF crashed in neighbouring Yadadri-Bhuvanagiri district. However, the trainee pilot ejected safely. 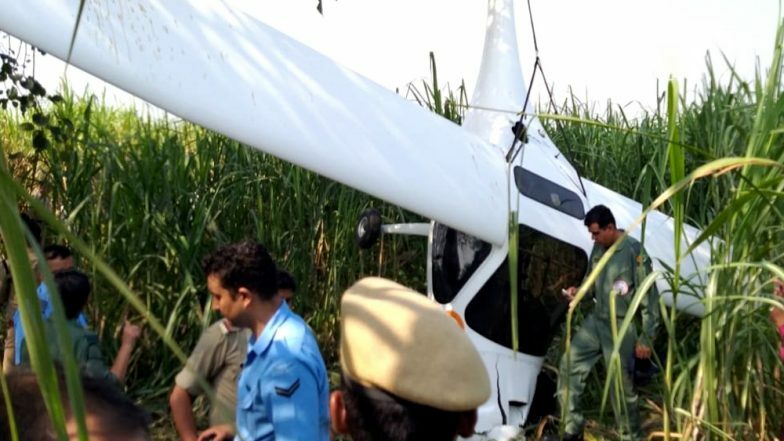 Another similar incident during the same month was reported from Telangana where a trainer aircraft of the city-based Rajiv Gandhi Aviation Academy crashed into an agriculture field in Mokila area. The pilot sustained minor injuries in the crash.